New Zealand’s Prime Minister Jacinda Ardern meeting with the Premier of the State Council of the People’s Republic of China Li Keqiang during last year’s ASEAN summit. Until recently, New Zealand’s relationship with China has been easy and at little cost to Wellington. But those days are probably over. New Zealand’s decision to block Huawei from its 5G cellular networks due to security concerns is the first in what could be many hard choices New Zealand will need to make that challenge Wellington’s relationship with Beijing. For over a decade New Zealand has reaped the benefits of a free-trade agreement with China and seen a boom of Chinese tourists. China is New Zealand’s largest export destination and, apart from concerns about the influence of Chinese capital on the housing market, there have been few negatives for New Zealand. Long-held fears that New Zealand would eventually have to “choose” between Chinese economic opportunities and American military security had not eventuated. But now New Zealand business people in China have warned of souring relations and the tourism industry is worried about a downturn due to backlash following the Huawei controversy. During Labour’s government under Helen Clark (1999-2008) and under the National government with John Key as prime minister (2008-2016), New Zealand could be all things to all people, building closer relationships with China while finally calming the last of the lingering American resentment over New Zealand’s anti-nuclear policies. But now, there are difficult decisions to be made. As China becomes more assertive on the world stage, it is becoming increasingly difficult for New Zealand to keep up this balancing act. Two forces are pushing a more demanding line from Beijing. One is China’s move to assert more control over waters well off its coast. For decades, Beijing was happy to let the US Navy maintain order over the Western Pacific to facilitate global trade with China. As China’s own economic and military abilities have grown, it has begun to show that it is willing to protect what it sees as its own patch. Its mammoth island building in the South China Sea is a testament to its new-found desire to push its territorial claims after decades of patience. China’s stronger foreign policy is testing what is known as the “rules-based order”, essentially a set of agreed rules that facilitate diplomacy, global trade, and resolve disputes between nations. This is very concerning for New Zealand as it needs stable rules to allow it to trade with the world. New Zealand doesn’t have the size to bully other countries into getting what we want. Trump-style posturing would get New Zealand nowhere. A more powerful China doesn’t need to threaten the rules-based system, but the transition could create uncertainty for business and higher risks of trade disruption. It is vital for New Zealand that an Asia-Pacific dominated by China is as orderly as one dominated by the US. The other force challenging the relationship is China’s emergence as a source of technology rather than simply a manufacturer of other countries’ goods. Many Chinese firms like Huawei are now direct competitors of Western tech companies. Huawei’s success makes it strategically important for Beijing and a point of pride for ordinary Chinese citizens. Yet, unlike Western countries, China actively monitors its population through a wide variety of mass surveillance technology. Therefore, there is a trust problem when Chinese firms claim that their devices are secure from Beijing’s spies. New Zealand’s decision to effectively ban Huawei components from 5G cellular networks could be the first in many decisions needed to ensure national security. Chinese designed goods are becoming more common and issues around privacy and national security will get stronger as everyday household goods become connected to the internet. Restrictions on Chinese-made goods will further frustrate Beijing and will invite greater retaliation to New Zealand exporters and tourist operators. In more extreme cases, foreign nationals have been detained in China in response to overseas arrests of prominent Chinese individuals. As many as 13 Canadians were detained recently in China following the arrest of Huawei’s CFO Meng Wanzhou in Vancouver at the request of US prosecutors. If New Zealand is to maintain a healthy relationship with China, it needs to be clear on what it is not willing to accept. It is easy to say individual privacy, national security and freedom of speech are vital interests of New Zealand, but Wellington needs to be clear to its citizens and to China what exactly those concepts mean in detail. All relationships require compromise, so Wellington needs to be direct about what it won’t compromise. New Zealand spent decades during the Cold War debating how much public criticism of the US the government could allow itself before it risked its alliance with the Americans. New Zealanders wondered if they really had an independent foreign policy if they couldn’t stand up to their friends. Eventually nationalist sentiment spilled over in the form of the anti-nuclear policy. New Zealand is now heading for the same debate as Kiwis worry about how much they can push back against Beijing’s interests before it starts to hurt the economy. Now that the relationship with China is beginning to have significant costs as well as benefits, it’s probably time New Zealanders figured out how much they are prepared to pay for an easy trading relationship with China. Perceptions of the levels of both income and wealth inequality are derived from our day-to-day experiences. Recent commentary on levels of inequality exposes the myth that Australia is an egalitarian society in which the privileges of birth have little currency. Focusing on inequality in the distribution of incomes ignores an equally important dimension of inequality: wealth. Wealth is much more unequally distributed than income. Therefore, ignoring wealth inequality skews perceptions of social inequality. Perceptions of the levels of income and wealth inequality are derived from our day-to-day experiences. This means that not mixing with people from the other end of the wealth distribution can colour our perceptions of inequality. The lack of official data on the wealth holdings of Australians hampers research into trends in wealth inequality. Between 1915 and 2003-04, there is almost no official wealth data to examine. In 2003-04, the wealthiest 20% of Australian households held 58.6% of total household wealth, and the poorest 20% of households held just 1.4% of total household wealth. In 2013-14, the wealthiest 20% of households held 61% of total household wealth, and the poorest 20% of households held just 1% of total household wealth. These figures indicate that wealth inequality increased over the decade to 2013-14. The table below details trends over time in various measures of wealth inequality. The P90 to P10 ratio compares the wealth of households at the 90th percentile with that of households at the tenth percentile. A larger ratio indicates greater levels of inequality. In 2003-04, households at the 90th percentile held 45 times as much wealth as households at the tenth percentile. In 2013-14, households at the 90th percentile of the distribution held 52 times as much wealth as households at the tenth percentile. This indicates that wealth inequality increased in that decade. Using the mean and median household wealth figures, it is possible to calculate the ratio of median to mean wealth. The closer this ratio is to one, the lower the level of inequality. In 2003-04, the ratio was 0.63. In 2013-14, it was 0.57. This also indicates that wealth inequality increased. The distribution of household wealth also varies between Australia’s state and territories, and by location within states and territories. Households in the ACT recorded the highest mean household wealth (A$890,100). Households in Tasmania recorded the lowest mean household wealth ($595,600). When these figures are disaggregated by location into capital city households and households located in the rest of the state, the largest wealth gap occurs in New South Wales. The mean wealth of households in Sydney was $971,700, whereas the mean wealth of households in the rest of NSW was $534,700. The median-to-mean-wealth ratios show wealth was most unequally distributed in Brisbane and Perth. 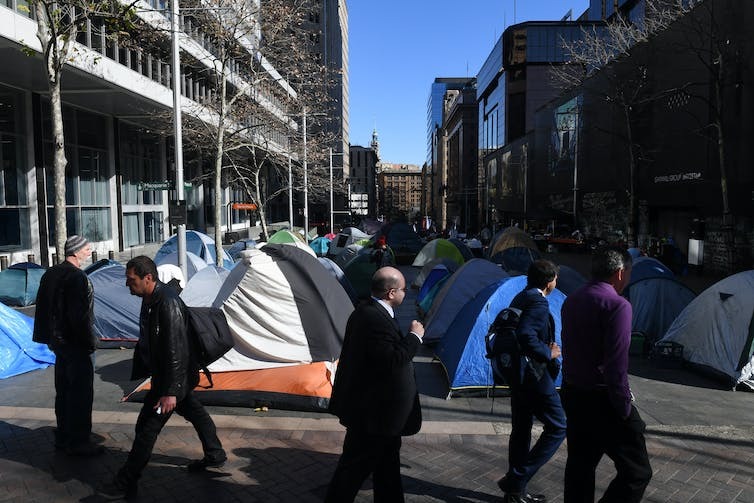 Given a relatively large proportion of household wealth is held in the form of property assets, the recently released Household, Income and Labour Dynamics in Australia Survey report identifies property as the key driver of increasing wealth inequality. The percentage of 18-to-39-year-olds with property declined by 10.5 percentage points between 2002 and 2014. And the level of debt of those with a mortgage doubled in real terms. So, fewer young adults have mortgages now compared to a decade ago, and those who do have mortgages have higher levels of debt. Two other sources of publicly available data on wealth are the lists of the super-wealthy published annually by the Business Review Weekly in Australia and Forbes in the US. Figures published in the Business Review Weekly show that, after adjusting for inflation, in 1984 the wealthiest 20 Australians held $8.25 billion in assets. In 2017, the wealthiest 20 Australians held $104 billion. Forbes’ lists of billionaires (in $US) show that the number of billionaires living in Australia increased from two to 26 between 1987 and 2014. Having an increasing number of billionaires would not be an issue if all Australians’ wealth was increasing at a similar rate. However, if the gap between the wealth of the billionaires and that of the average residents increases dramatically, there is likely to be discontent. Drawing on figures published in the Credit Suisse Wealth Report, it is possible to compare the wealth of the billionaires with that of average Australians. In 2014, the wealth of the 26 Australian billionaires was equivalent to 214,914 adults with average wealth. Recent turmoil in the UK and the US may be an indicator that the “peasants are revolting” and are not willing to return to the 19th century, when the very rich lorded over the masses. Australia has yet to experience mass demonstrations and voter backlashes. But events overseas should be ringing alarm bells among our politicians in Canberra. Around one in seven Australia households either cannot get into housing at market rates or are struggling to pay the rent. A new report by the Australian Housing and Urban Research Institute (AHURI) reveals, for the first time, the extent of housing need in Australia. An estimated 1.3 million households are in a state of housing need, whether unable to access market housing or in a position of rental stress. This figure is predicted to rise to 1.7 million by 2025. To put it in perspective, 1.3 million is around 14% of Australian households. This national total includes 373,000 households in New South Wales, where the number is expected to increase by 80% to more than 670,000 by 2025 under the baseline economic assumptions of the modelling. The first graph below shows the average annual level of housing need to 2025. The second, showing the percentages of households, permits a direct comparison by state. NSW and Queensland are in the worst position. The ACT is calculated to have the lowest proportional level of need. What does this mean for households in need? … the aggregate of households unable to access market-provided housing or requiring some form of housing assistance in the private rental market to avoid a position of rental stress. This includes potential households that are unable to form because their income is too low to afford to rent in the private rental market. These households would traditionally rely on public housing and community housing to meet their needs. However, more and more are being forced into the private rental market, paying housing costs they are unable to afford without making significant sacrifices. To 2025, on average 190,000 potential households in NSW will be unable to access market housing in a given year. The graph below is the most revealing as it illustrates the gap between affordable housing demand and supply. The lack of social housing and subsidised rental housing prevents such households forming under affordable conditions. Many will manage to form but will have to spend well over 30% of their income on housing costs to do so, putting them in a position of financial stress. The results also reveal the increasing pressure the affordable housing shortfall places on the housing assistance budget, notably Commonwealth Rent Assistance. The absence of a significant new supply of affordable housing – there has been no large-scale program since the National Rental Affordability Scheme (NRAS) began in 2008 – has left state governments trying to find ways to plug the affordability gap. Responses have been largely on the demand side, such as first home buyer concessions recently announced in NSW. But such incentives are no use for low-income households. To help them, intervention needs to be on the supply side. The AHURI research built on ideas emerging from research into housing need in the UK. It revealed interesting differences between the two countries. UK government policy prior to 2010 emphasised the role of the planning system in helping to substantially increase affordable housing supply. This reflected evidence from England and Scotland that found a link between low levels of new housing supply and higher and rising house prices. In this project, we found plenty of evidence of deteriorating housing affordability in Australia. But we did not find a particularly strong relationship between housing supply and price growth. This might reflect how other drivers of deteriorating housing affordability are more important in Australia – such as tax incentives for investors. These findings suggest we need to look more closely at how new supply and investment demand interact, and in what circumstances boosting new supply is likely to improve affordability. From our analysis of individuals’ labour market circumstances and incomes, it was also clear that the Australian workforce has not escaped the erosion of secure, full-time employment opportunities seen in other countries. 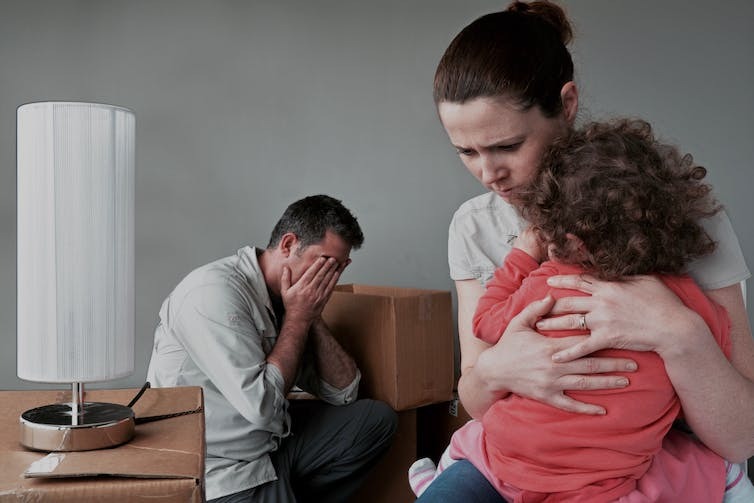 The combination of widespread insecure, part-time employment opportunities, high housing costs and low supply of rented social housing means the housing of many working Australians is extremely precarious. The research modelled housing need at the state and territory level to 2025 using an underlying set of economic assumptions and interrelated models on household formation, housing markets, labour markets and tenure choice. The models were underpinned by data from the Housing, Income and Labour Dynamics in Australia (HILDA) Survey, the Australian Bureau of Statistics (ABS) and house price and rent data. This research delivers, for the first time in Australia, a consistent and replicable methodology for assessing housing need. It can be used to inform resource allocation and simulate the impact of policy decisions on housing outcomes. The intention is to further develop the model to assess housing need at the level of local government areas. So, what are the policy implications? The scale of the affordable housing shortfall requires major action from federal and state governments. NRAS had its problems but at least delivered a supply of below-market housing. Australia cannot rely on the private sector to deliver housing for low-income households without some form of government subsidy as it is simply not profitable to do so. The question is what government is going to be prepared, or even able, to spend big to close the affordable housing supply gap? The link below is to an article that looks at the rising pressure on Christians across the world in Islamic countries.